It was my privilege to speak with Dr. Cornelius and Anah Van Dorp on Voices from the North in early 2009. They had recently opened up the Herb Shack, Anah’s brainchild shop offering healthy and herbal and other healing options. Dr. Cornelius Van Dorp worked seven years for Green Peace as a ship’s doctor and was fortunate to be involved with the establishment of an Antarctic Base that was closed in 1992 when the nations of the world voted to turn the Antarctic into a world park. A twelve month period in the Antarctic, especially during the five months of darkness, helped Corn to gain perspective on his life. The isolation gave him time to look at his life to that time and he realized he needed to make the best of his available time, to put focus on his family, to stop ‘hurrying and scurrying’, to look after the earth. He then began to apply alternative forms of healing in his practice as a GP for the last 14 years in Kaitaia—things like crystal healing, hands on healing, electromagnetic healing and herbs. Dr. Corn believes every doctor today needs to have some training in working with herbs. He gives examples of where people must watch they don’t mix allopathic drugs with strong herbs like hawthorne (which strengthens and slows the heart beat) and the anti-depressant St.John’s Wort. He did studies and was one of the founding fellows at the Australian College of Herbal Medicine. He and Anah have been married for three years and their mission together was to create the Herb Shack. He sees the doctor’s role today as more of a partnership with patients, rather than as being a demi-God. He works today with the Maori health providers so he has an average of twenty minutes with each patient as opposed to the ten minutes per patient he usually had as a GP. Cornelius describes a journey he led to the UK in 2001 to look at crop circles. They experienced the appearance of an Irataggata (the first shoot of growth) spiral crop circle at Avebury Circle two weeks after they arrived. 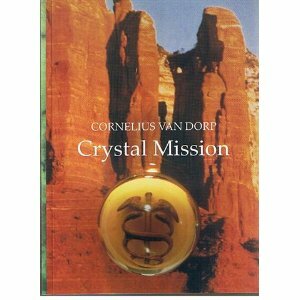 Corn has written books describing his journey and has worked with the principle of synchronicity for over twenty years. Our song in the middle of the program is by Dan Seals, We Are One and it is sung by Paul Seaforth. This beautiful small bush springs up along paths and roadsides and festoons these tracks with massive clusters of pale yellow deeply fragrant blossoms in spring. Traditional gardeners claim that when it blooms it is time to plant Kumara, the native sweet potato, an important dietary staple for many in the past as well as today. I originally bought small bags of the dried herb at the Kaitaia market from a man who claimed his wife had healed herself of cancer using Kumarahou Tea. The taste is bitter, but I have come to enjoy it over the years. It is recommended for coughs, chest complaints, arthritis and rheumatism. I tend to have it daily for a few weeks as a general tonic and then leave it until the intuitive message comes urging me to use it again. forest and available along path sides. It has distinctive heart-shaped leaves that seem to be a favourite of insects, as the leaves are often full of holes. 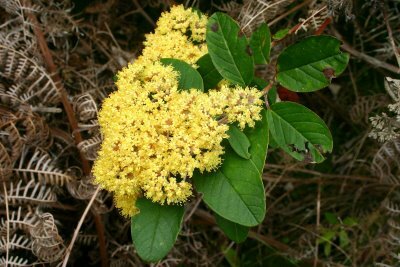 I first heard of this herb from a gardener friend in Golden Bay over 20 years ago. He claimed it induces fine sleeps with clear, memorable dreams. Tony Foster, a local tour operator in Whangaroa Harbour and earlier guest on Voices from the North, offers a few fresh-picked leaves in cups of hot water to clients at the end of each Lane Cove hike he guides. Kawakawa has a calming, soothing effect on the nerves, is related to Pacific Island kava, and an infusion leads to a mild laid back feeling. 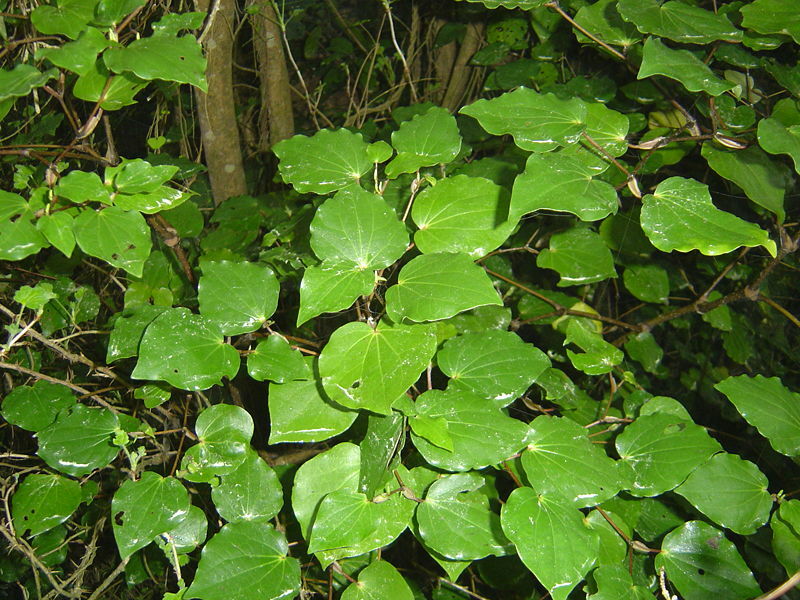 The health properties of Kawakawa include support for the bladder and unitary tract maintenance. Radio host, librarian, inspirational speaker and health educator John Haines is the author of In Search of Simplicity: A True Story that Changes Lives and Beyond the Search, books to lift the spirit and touch the heart. See http://www.JohnHainesBooks.wordpress.com And In Search of Simplicty is now available as an eBook here.